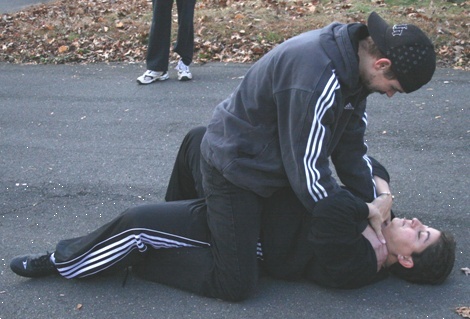 This move is designed for when an assailant is on top of you, whether between your legs or on your hips. 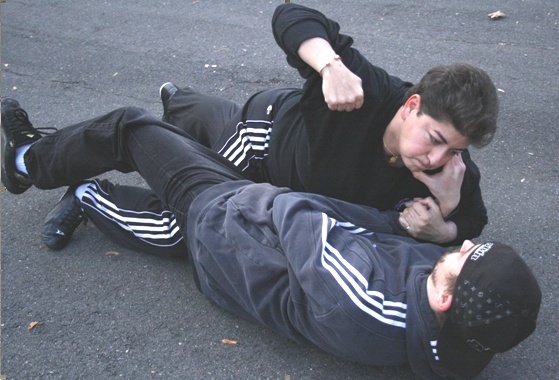 The secret to the move is to keep your shoulders flat on the ground and ensure that you have locked down one side of the assailant's leg and you push your hips up and towards the opposite shoulder of the trapped leg. 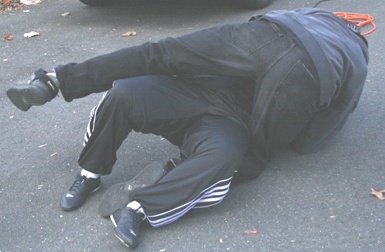 Example, you lock your assailant's left leg, you pop up your hips towards your right shoulder. All the power comes from your legs and hips on this movement. Attacker is mounted on top of you. 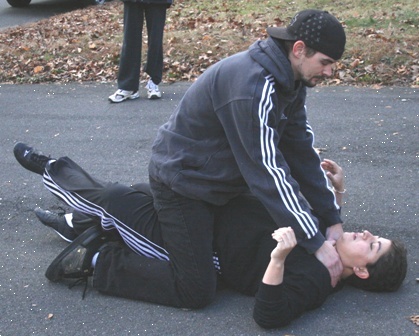 Attacker grabs your throat from the front with both hands. Bring your left leg over his right leg thereby trapping the leg. (You can also do this with your right leg if that is more accessible or comfortable for you). Bring up your right leg (with your foot on the ground) as close to your buttocks as possible. This will be your push off "lever" side. Make sure to trap his hands with your hands so that he cannot balance himself when you push him over. Use your right foot to power your hip up and towards your left shoulder. This will create the momentum to throw him off. Follow the momentum that you created. This will place you in a perfect striking situation. Your knee is in a perfect position to strike his groin. Your hand can strike his Adam's Apple or his eyes, nose.